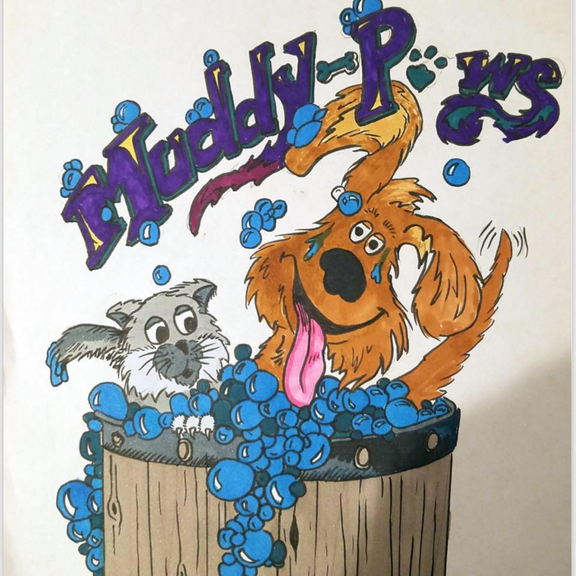 Muddy Paws Dog Wash is a Full Service D.I.Y. Dog wash with Grooming Available for all size pets, large and small. Prices begin at $10.00 for the Evolution automated dog wash unit that provides automatically the Shampoo, Flea/Tick, Conditioner and Rinse all dispensed from the nozzle. You may choose Full Service, rendered by Michelle the owner a Vet Tech with 20 years experience which includes: A Health review, Full Wash using Michelles specially chosen Shampoo, Conditioner, and Ear Cleaning, Nail Trim, beginning at $15.00 up to $28.00. We are next to Publix in the Bradenton Commons Center, drop your dog off go shopping, pick them up when your done. Cant be any more convenient or cost effective. Visit our website for a list of all our services and learn more about Michelle, the owner.